Superdry men's B Boy all over print cap. 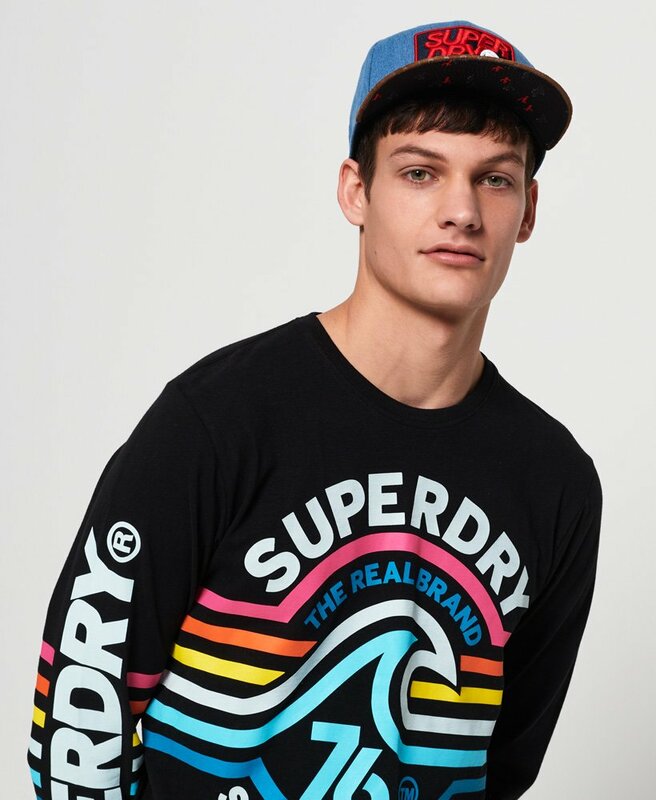 A baseball style cap with a suede-effect peak featuring an all over Superdry print. The B Boy cap also has an embroidered Superdry logo on the front, logo badge on the back and has a snap fastener for adjustment.